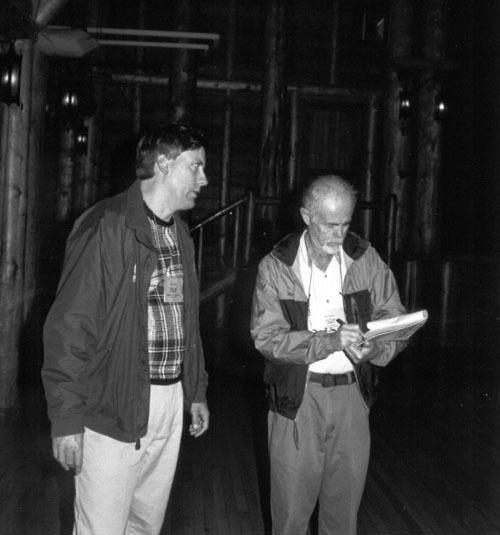 Pat Byorth took over the reins as Symposium Chair for Wild Trout VII, and the meeting returned to Yellowstone National Park, October 1-4, 2000. It was the first meeting held at Old Faithful Lodge, and most found this site, in the shadow of the great geyser, to be an inspiring venue for the meeting. 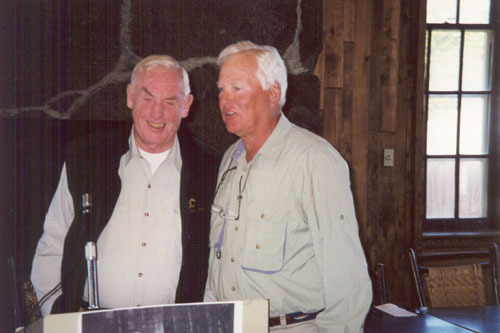 Dan Schill and Steve Moore (Program Committee co-chairs) worked with seven committee members to put together a diverse group of presentations ranging from Wild Trout Regulations to Electrofishing Injury. 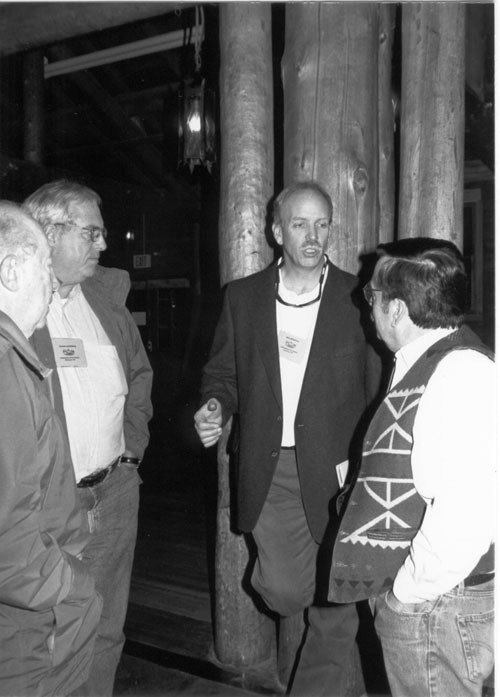 The symposium theme, "Management in the New Millennium: Are We Ready," seemed especially apropos in the year 2000. 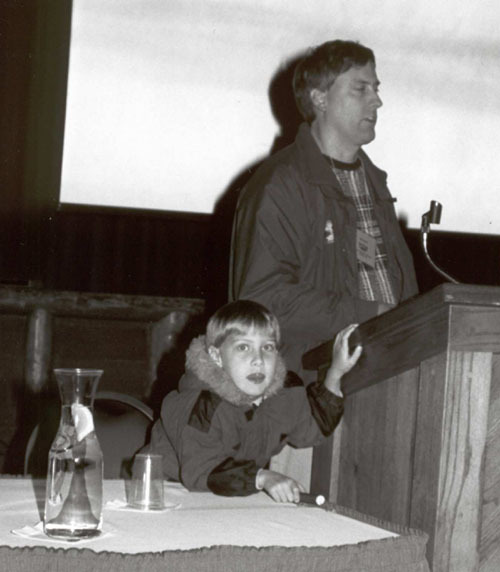 Although presentations concerning native trout had always been prevalent at the Wild Trout symposia, this year marked a substantial shift in program emphasis toward native trout. 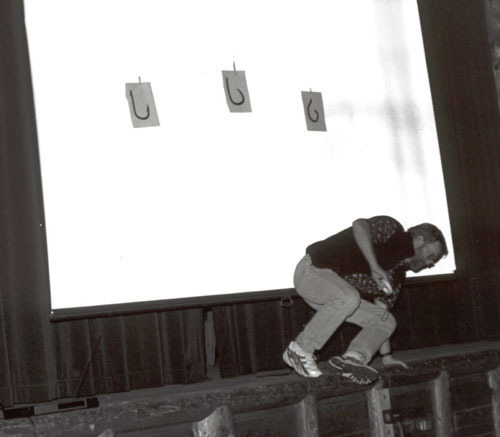 Three different sessions focused exclusively on native trout and restoration activities, and numerous presentations in other sessions were related to natives. Attendees walked away with a strong sense of urgency concerning management of wild native trout in the 21st century. 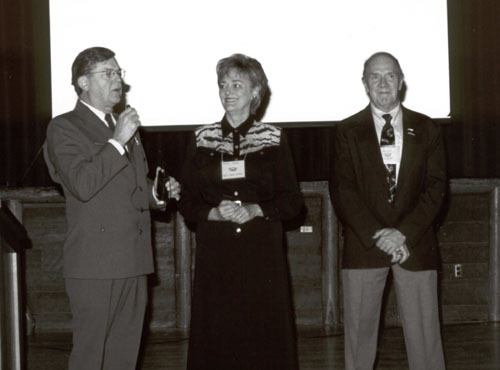 Special invited speakers provide several "big-picture" presentations that set the tone of the meeting. Karen Wade, the Director of the Intermountain Region of the National Park Service, started the meeting with the keynote address emphasizing the need for collaboration among fisheries managers representing state, federal, tribal, public, and private interests. 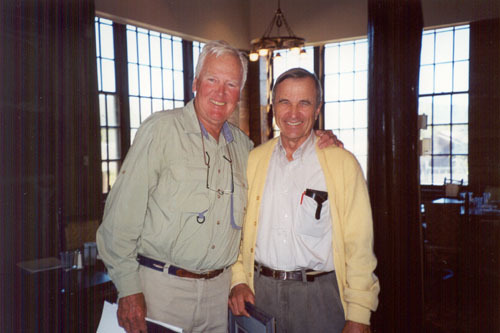 Author Thomas McGuane encouraged banquet attendees to develop new, more easily understood, ways to deliver our scientific knowledge to politicians, decision makers, and resource enthusiasts. 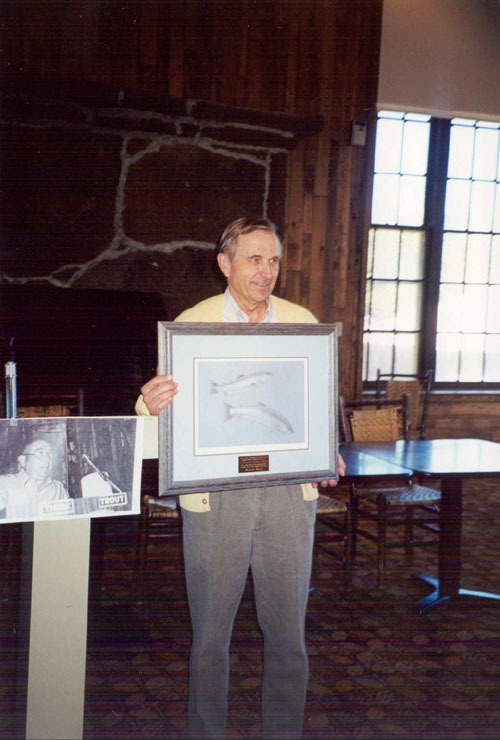 At the Awards Luncheon, Bob Hunt urged the group to manage for wild trout first, and he emphasized that fish populations cannot be managed separately from the habitat that they occupy. During the second luncheon, Dr. Jim Rose provided fascinating information concerning the inability of fish to feel pain. He concluded that fish do not feel pain because the cerebellum of a fish is not developed to a point that allows the sensation of pain to be processed. 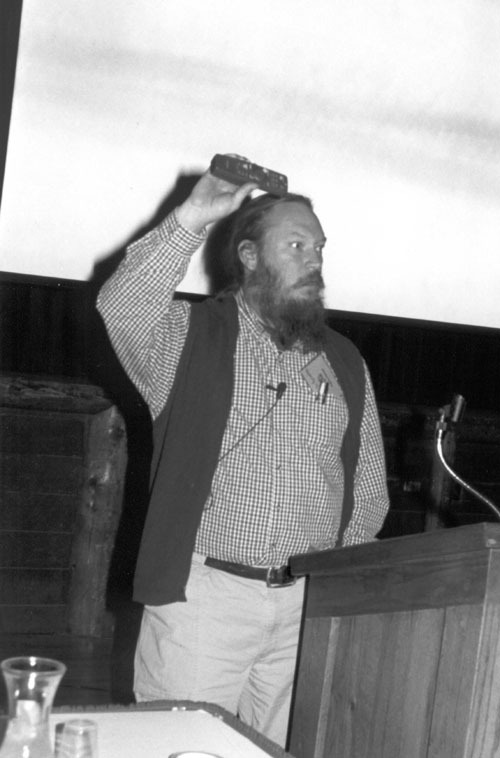 Bob Wiley, symposium summarizer, reminded the audience that this subject, and others topics related to angling, could be controversial in some circles, and it is critical that as fisheries professionals, we must be willing to entertain alternate points of view at our Wild Trout meetings. 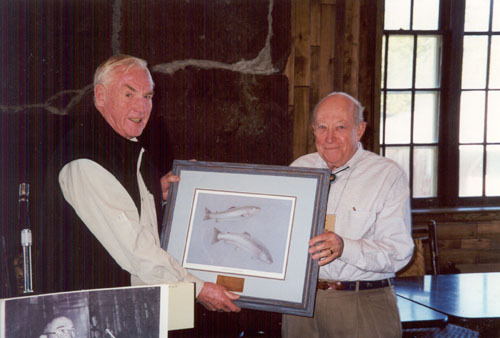 Wild Trout VII recipients of the A. Starker Leopold Award were Robert L. Hunt, professional category, and W. F. Bud Lilly, nonprofessional category. 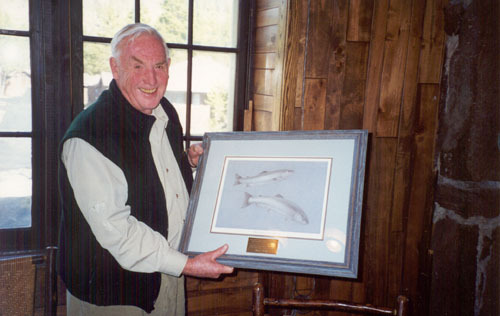 Both individuals have dedicated much of their lives to the enhancement, protection, and preservation of wild trout in North America.